Le Canh Nam, forest specialist with the technical and scientific research department of Bidoup Nui Ba National Park, cores a fokienia tree in Bidoup Nui Ba National Park near Dalat, Vietnam. Known to the Vietnamese as Po Mu, the fokienia trees were the focus of the Lamont-Doherty Earth Observatory tree ring laboratory expedition. 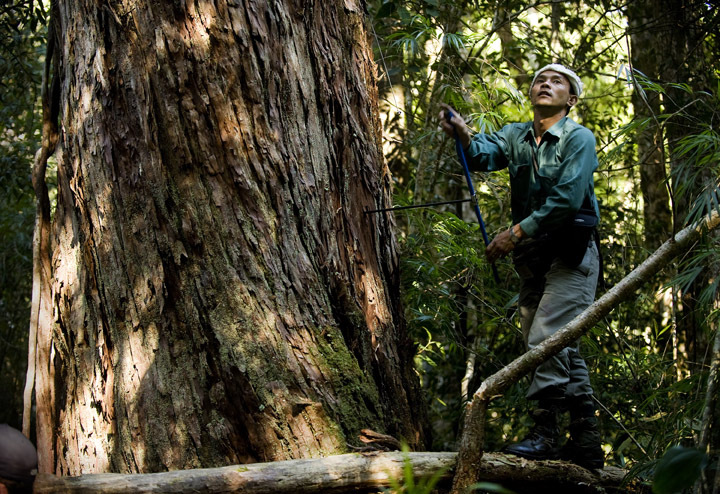 Trees in excess of 700-years old were found by the researchers during their work in the park.